Utku Sezgin: Can President Obama’s Proposals Succeed in a Gridlocked Congress? State of the Union addresses are the annual wish-list presentations of American presidents, mixed with appeals to rally behind the leader of the nation. The addresses stem from the once-obscure mandate the Constitution gives presidents to submit proposals, recommendations and their political views to Congress. Until the 20th century, presidents mostly sent Congress written messages without any of today’s media-savvy pomp. In recent decades the speeches have become widely-anticipated political theater to be parsed for a sense of where a president aims to take the country. However, despite the modern presidency’s inflated powers, proposing bills to Congress and getting to sign bills containing those proposals later on is not the same thing. 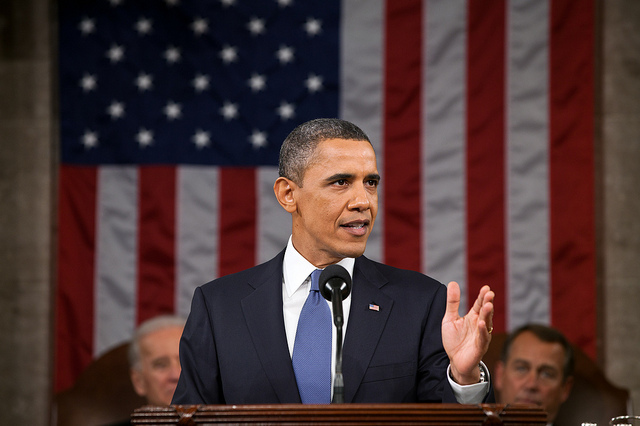 President Barack Obama delivered the first State of the Union address of his second term last night, doing his best to lay out his vision—emboldened by an electoral mandate—before a partisan, polarized, divided and oft-gridlocked Congress. But the future looks uncertain. While promising in a few respects—immigration reform has become an issue Republicans are interested in after their failure with Latinos in the 2012 election—Americans can expect the rest of Obama’s proposals, from tougher gun control to a higher minimum wage, to be opposed vigorously by a Republican House likely to become slightly more Republican in 2014 (the opposition party has almost always picked up seats in Congress during midterm elections). As has been the case since the Republican takeover of the House in 2010, Obama aimed to go over the heads of Congress and reach the nation directly from the most prominent bully pulpit offered to a politician, in the tradition of Theodore Roosevelt. But such appeals rarely influence Congress very much. Obama displayed an unabashed and confident liberal manner as he defended the role of government in improving people’s lives. He proposed government investments in education from kindergarten to college, government aid to refinance mortgages, a mini-stimulus (or a job creation bill, as he’d call it). Not that this was a New Deal-era address: Obama delivered it in the post-Reagan, Clintonite, third-way, centrist Democratic rhetoric, emphasizing the roles of the market and the value of individual entrepreneurship. But his first-term need to sound as bipartisan as possible was no longer evident. Will Obama’s second term see the goals he set out last night realized? One must keep in mind that historically, State of the Union addresses have rarely led to major legislative movement on the part of the Congress, especially in a polarized era such as this, when divided government seems to be permanent. As most second-term presidents do, Obama must prepare to be disappointed, and to be compelled to use unilateral executive action such as executive orders to implement some of his ideas. Dr. Utku Sezgin is a visiting assistant professor of political science at Yeshiva College. The opinions expressed above are solely those of the author and should not be attributed to Yeshiva University.